Langley Interiors is a company committed to bringing its customers the very best in terms of design and fitted furniture. We are always searching for new and interesting products that can embellish the houses of our clients. The most recent addition to the collection of beautiful and natural veneers is the raw and unique driftwood. Driftwood is a type of wood cleaned and polished by the natural current of rivers or the sea. Similarly to the polished rocks found on so many English beaches, driftwood has a fantastic texture and looks brilliantly raw and unprocessed. Furniture created with driftwood helps to add not only to modern interiors – where it works so well with industrial style – but also to more traditional homes – with the texture helping to add grit and vintage look to the design. If you are looking for advice on which style to commit to, or looking for a slight change of scenery contact our experienced team or visit our Bolton showroom to discover more for yourself. 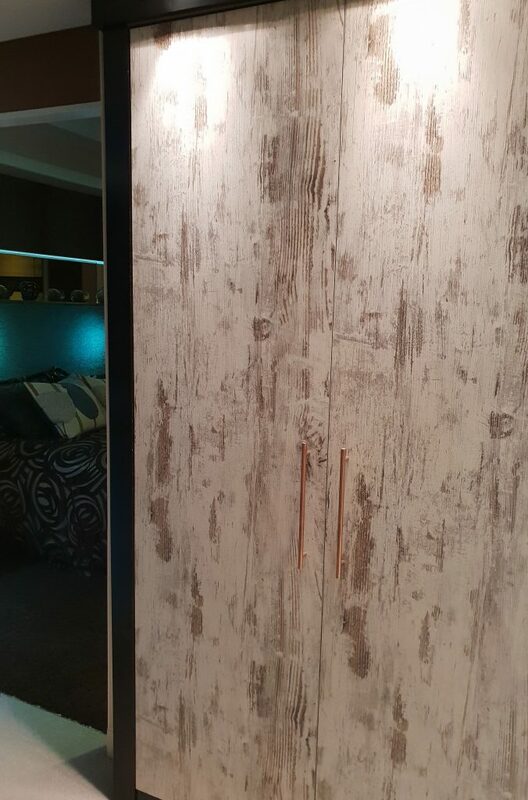 Driftwood veneers can be used in two ways. They can either be a small addition or a main element of the furniture. Both options offer stunning results, however depending on the type of look you intend to create its good to consider how much driftwood do you wish to have. 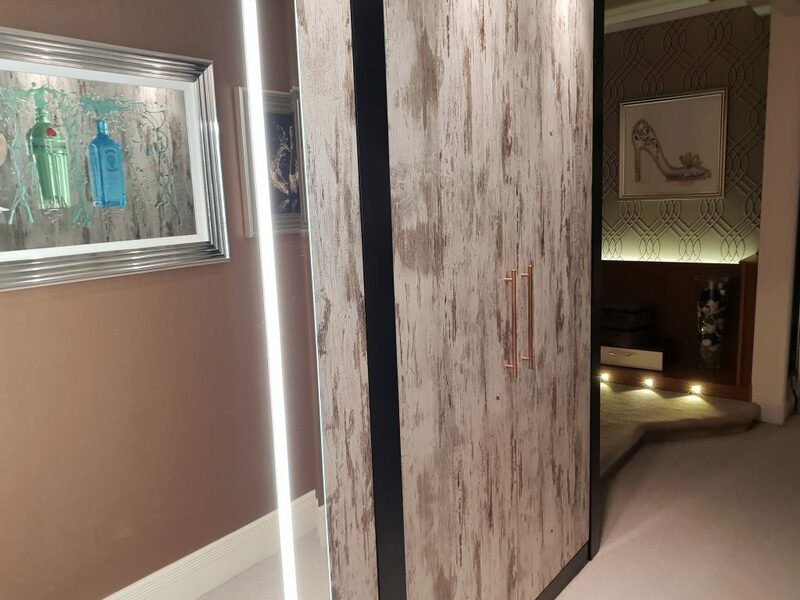 If you are unsure about the choices contact our team of experts who will happily provide advice and guide you through the process or visit our Bolton showroom to speak to one of our designers. Using Driftwood as a smaller part of the furnishing can help you seamlessly blend it with a modern look. 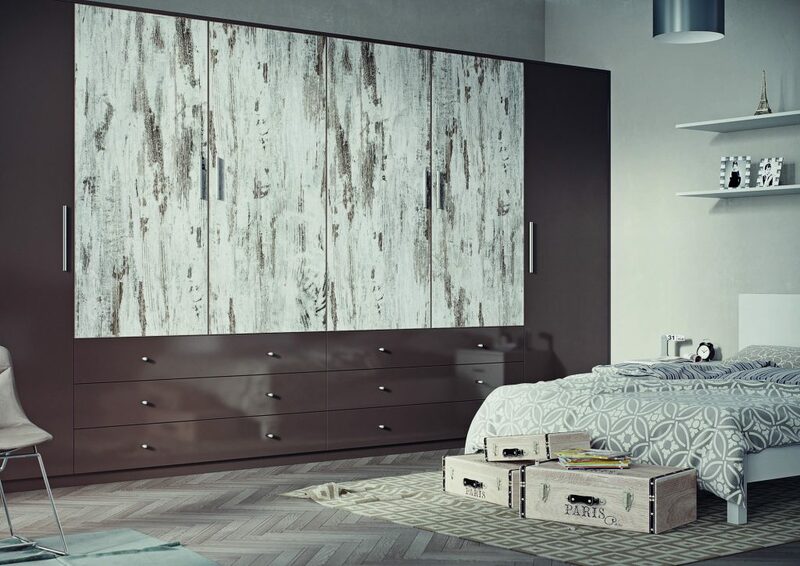 Driftwood works really well with both matt and high gloss finishes, giving you the opportunity to match it to the style of your home. If your room is designed in a traditional style you can always contrast it with dark wood like cherry or sycamore. 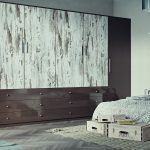 On the other hand, if you are looking for something more modern compliment driftwood with sateen brown or high gloss burgundy for a striking, beautiful result. Making driftwood the main finish of your furniture can create some really striking results. Due to the heavily patterned and random nature of the finish, driftwood adds a lot of life and creates an interesting ambience. It can be combined with both more vintage style décor and strikingly modern as both can look equality beautiful. As a naturally created material that has been reclaimed by water, driftwood is ecological and nature friendly. 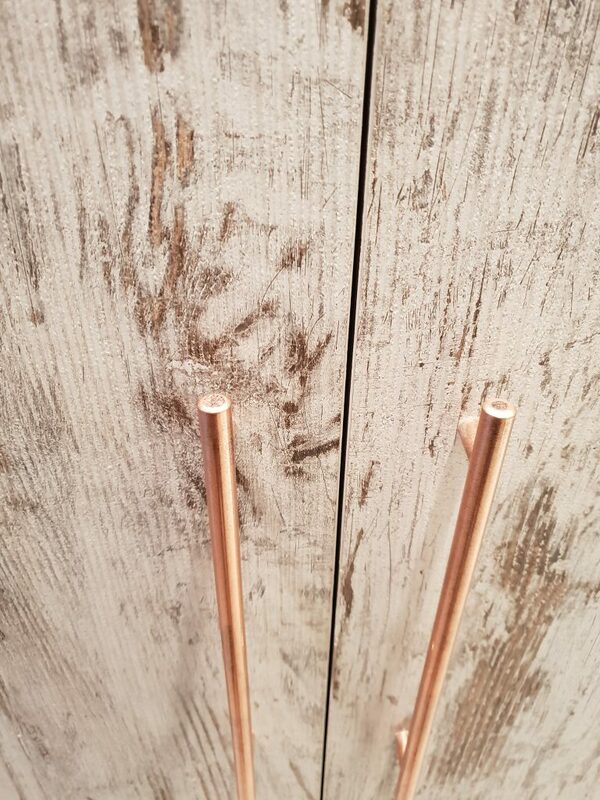 Furthermore, Langley Interiors is committed to using only the best and most sustainable materials for its furniture wherever possible to ensure your satisfaction without damaging the planet. 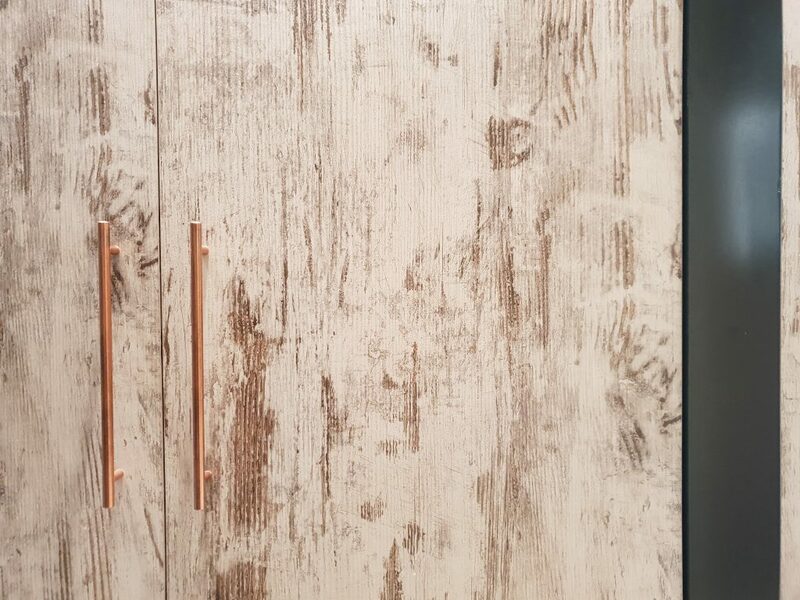 The best way to discover this beautiful new finish is to visit our showroom, where it is featured in a proud and pronounced location. There you can also speak to one of our designers to discuss the renovation project you are planning. Alternatively give one of our advisers a call and they can discuss all of your options with you.